If you have appliances which use natural gas, it is important to be aware of the risk of leaks in your system. While a compound is added to natural gas to serve as an olfactory warning should there be a leak, it can be problematic for those who do not have a sharp sense of smell, or who are asleep when the leak begins. Are you looking for information about gas leak detection? Do you need leak detection services in Southern California? 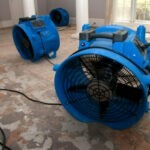 Tweedy Plumbing has the most reliable and trusted detection services in Costa Mesa and surrounding area. Our professional team has the knowledge, equipment and experience to identify the potential for hazardous gas leaks, so you do not have to depend on your own sense of smell in order to recognize a dangerous buildup in the levels of gas in your home or business. We not only detect problems with natural gas, but we can quickly perform necessary repairs to restore the system to optimum condition. Our professionals have the latest electronic equipment to identify areas of concern. The Tweedy service area includes the cities of Corona Del Mar, Irvine, Laguna Beach, Huntington Beach, Newport Coast, and Newport Beach. If you have noticed the odor of natural gas in your home or business, or if you have been told to call a plumber, Tweedy is the team to call. We are experts in the science of troubleshooting gas issues. Our Electronic Gas Sniffer will quickly identify the source of any leaks, so that we can present the client with an estimate of a repair which is both legal and safe. Services related to gas leaks include emergency detection; repair of steel and plastic pipes; shut-off valve installation for earthquake events; modification or replacement of pipes; hook-up of appliances and fixtures; relocation of shut-off valves; and exterior and interior pipe installation. In the event of an emergency such as the ones listed above, prompt action is necessary. When a disaster strikes, whether fire, flooding, earthquake or other happening, getting help quickly is important. You don’t want to add the risk of explosion or fire to an already troublesome scenario. Prevention of high-risk situations is another way in which you can keep your family safe. An assessment of your gas system will help to avoid a worsening risk of fire or other health issues. When you are in need of gas leak repair, call 949-645-2352 to schedule a service call today!